At Hero HQ in Chicago we sit at laptops, dream while we type away, engage in all things post-production, and ponder the obvious. As we prepared our Women’s Ronde Van Vlaanderen images, brought to you soon (we promise) by Patrick Hero, we started to think about why we enjoy the Ronde so much. Of course, the Jupiler and Orval flow like rivers, and the cobbled climbs remind one of a mid-western demolition derby, but what makes it best is that it is one of the few classics that have a women’s race in the morning before the men’s edition. Emma J, Emma P, and as we like to say around the HQ, The Great Marianne Vos, are all there. Its kind of like Wimbledon, and the French open, there is a women’s tournament on Saturday and then a men’s event on Sunday. Like Grand Slam tennis equality, we think there should be Monument Equality adopted by those Race Director’s at ASO and RCS. It will be cool trust us. And you will sleep better at night! 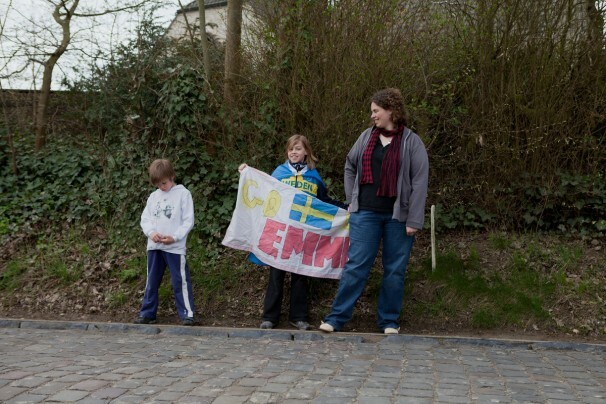 Tags: emma johansson, marianne vos, monuments.